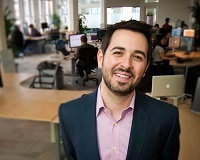 Today we are lucky to have an interview with Rand Fishkin, founder and CEO of MOZ. He is also a founding member of Inbound.org. Rand operates in the inbound marketing industry, which has a strong focus on search engine optimization. As you all know, this is a very difficult and opaque industry to work in. However, Rand has been able to take his company from near bankruptcy to a success all while remaining open, approachable and transparent. I’d like to add that Rand’s transparency is obvious through the whole interview. This will be a treat for folks looking for real and detailed information. [Marco] Let’s dig in. Can you start by telling us a little about your company and about what you do? [Rand] Sure! Moz is a software startup based in Seattle, WA. Our mission is to help people do better marketing. Today, we pursue that goal by providing a lot of content and some paid software to help with inbound (non-paid) web marketing channels. There’s ~130 Mozzers serving ~22,000 paying subscribers and a community of nearly half a million. [Marco] When you started MOZ, you dropped out of college and started working with your mother. Can you tell us a little bit about that experience? [Rand] Gillian (my Mom) had run a small business marketing company since 1981. When I dropped out and started working with her, my role was primarily to design & build websites for her clients. We didn’t have a great run for many years – in fact, our consulting business piled up a lot of debt. But, eventually, we moved into SEO, launched the SEOmoz blog, and eventually that became the primary consulting service, which helped us get out of debt. In 2007, with a staff of only 6, we launched a paid subscription to our software, and have been growing ever since. [Marco] Do you think it’s a good idea for entrepreneurs to work with their parents? In your experience, what are the pros and cons? And, what advice would you give to new entrepreneurs who are looking to raise capital from family members? [Rand] I wouldn’t suggest it. Family relationship are tough and combining them with work only makes things more difficult. There’s the pros that family has a lot of love and support for one another, but that doesn’t always play out well in a professional setting. In terms of raising capital, I don’t have any first-hand experience, but most of the stories I’ve heard don’t have happy endings (and even when the ultimate results are positive, there’s a ton of stress and dischord in the process). My advice would be to keep those generally separate. [Marco] Let’s talk a little about your company and your industry. You recently went through a rebranding effort where SEOMoz became Moz. You described this in great detail in this post. In your post, you mention that one of the reasons for the change is that the term SEO has developed negative connotation. Given that SEO is an important component of your corporate strategy, how do you manage the fact that a part of what you do has a negative perception? That said, there are certainly still challenges with SEO as a term and a practice. I think at this point, we’re mostly digging out from a sketchy past where a few bad apples (those who left spam comments and sent spammy emails drudging for business) had spoiled the industry’s reputation for a lot of folks. The vast, vast majority of practicing SEOs are great people, honest marketers, and add a lot of value to the businesses they help. Since Moz has always existed primarily to help those SEO-focused marketers, we haven’t struggled too much from a customer perspective, but hiring historically was certainly a challenge. I think that’s changing with Moz’s growth, but it’s hard to know for certain. Whatever happens, we’ll remain passionate supporters of SEO’s power to help organizations attract and audience and reach their customers. [Marco] When you say that “hiring is a challenge”. Is it because of your industry or just because finding good employees that know technology and marketing is difficult? And, how do you overcome those challenges? [Rand] It’s a little bit of both. Historically, SEO has had a stigma around it, especially to those in the technology/programming world. As Moz’s reputation in Seattle has gotten better and our brand has broadened, that’s been less of a challenge, but in past years, it was certainly an issue. These days, it’s the usual tech start-up problems around cultural fit, skills matches, and the hyper-competitive hiring environment. [Marco] Every day someone publishes an “SEO is Dead” article or some claim that “Google hates everyone in the SEO industry”. How you keep investors and your staff above the constant negative industry perceptions? [Rand] I actually can’t recall a time when our investors or staff have worried about either of those issues. We’ve heard it a little in the broader technology community, and occasionally from reporters/media, but folks with their ear to the ground don’t seem to harbor those opinions. [Rand] In a way, yes – if people stopped using search engines, we’d have a very hard time providing value (though we have broadened our software suite to include more tools focused on social media, brand tracking, etc). We’re not exclusively dependent on Google, though. If Yahoo! and Bing, for example, were to take a ton of market share from Google, we’d be able to serve marketers equally well by helping them track and improve on those engines. In terms of changes, it tends to be the case that whenever Google makes a large-scale change, we benefit as marketers and businesses look for ways to better understand, track, and improve their SEO (and that often involves our content and software). [Marco] Obviously, your business plan has to take into consideration that Google dominates large segments of the online market. How do you build a stable and diversified company when a player has such as large dominance? [Rand] It hasn’t hampered us much so far, though there are elements of diversification lacking (see above). Thankfully, we do have very diversified traffic (less than 30% of our visits come from Google), and we continue to expand how we help web marketers outside of just Google and SEO. [Marco] May I focus on your comment about getting less than 30% of your visits from Google? Would you be willing to share where the other 70% comes from? Also – how do you know that a large part of the remaining 70% does not come from Google dependent sources? [Marco] Let’s change subjects. One thing that both you and Moz value is transparency. As a matter of fact, I have always been impressed by the amount of corporate details you are willing to share with others. How much of that transparency is motivated by the fact that parts of your industry are perceived as opaque and secretive? [Rand] That was certainly one of our original motivations, but for the last few years, our transparency has been driven primarily out of a desire to live up to our core values (of which transparency is one). We’ve also built up a community that expects us to be transparent, and as any good marketer knows, nothing is worse than falling short of the expectations you create. [Marco] Have you ever been concerned that being so transparent could actually help your competitors? [Rand] We’ve certainly thought it would (and, for me, personally, I hope it has). I actually want to help our competition – I think this field is huge, marketers need lots of help with inbound channels like SEO and social, and if they can execute better than we can, they deserve those customers. Winning out over competitors at the cost of my principles has never been something I’m passionate about. [Marco] One last question. You dropped out of UW to focus on MOZ. I can assume that was a very risky, and incredibly rewarding, experience. What advice would you give to a young entrepreneur that has a college startup and is considering dropping out? [Rand] It wasn’t particularly risky or rewarding (at least, not for a long time). When I dropped out, it was to work with my Mom. She didn’t much care that I hadn’t finished my degree (at least, not from a web design ability perspective), and, as I mentioned at the start of our interview, the first few years were very rocky. As far as college degrees go, my advice is to pursue college because you love it, and not to pursue it for other reasons. There’s a lot of data showing that given what college costs in 2013, you may be far better off not going if your life and profession don’t require a degree. If you are thinking of dropping out, my only advice is to make sure it’s to go into a field where that’s generally acceptable (or even respected) like technology. Rand Fishkin is the CEO of MOZ and a founding member of Inbound.org. He keeps a great blog about business, start-ups and inbound marketing.